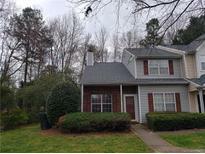 Find Charlotte, NC Foreclosures for sale. View Photos, Maps and MLS Data Now! Sugar Springs - Great location just off I 85 and close to light rail station. You can stop looking! MLS#3497013. Hines & Associates Realty LLC. Foreclosure proceeding has been commenced ---Property needs work ---sold in "as is" condition ---tenants are going to move out as soon as they are able ---lots of potential --large family room - MLS#3496114. Keller Williams South Park. Lots of potential in a quiet area with super easy access to uptown, the airport and the light rail line. MLS#3495091. Century 21 Murphy & Rudolph. The Settlements at Withrow Downs - This house is a treasure that won't last long... Come & Experience it Today! MLS#3495101. Showcase Realty LLC. Speed bumps, sidewalks and street lights throughout the community. MLS#3493567. Vail Realty LLC. Brookstone - This may be the one for you. MLS#3493342. Realty ONE Group Select. Police report is available from your agent. MLS#3482313. MATHERS REALTY.COM. Great Master Down home in convenient location. A must see! MLS#3492926. JKN Realty. Close to I-85, I-485, IKEA, Shopping, Restaurants, Lite Rail University City Blvd Station, UNCC, and Concord Mills. Buyer to verify all data. MLS#3490016. McGowan Realty. 2 staircases, 2 laundries, down stairs master. Convenient location. See photos. MLS#3489943. Transitions Realty. Peachtree Estates - This won't last long for this price. MLS#3487639. Wheelux Realty LLC. Don't dream about this one, this dramatic home is waiting for a new owner to make it over. MLS#3487394. Hines & Associates Realty LLC. HURRY these condos rarely come on the market*** MLS#3486915. One To One Realty. Heritage Woods East - Come an check it out today. MLS#3486074. OfferPad Brokerage LLC. Ravenwood - All Pre-1978 Props must include the LBP (Lead Base Paint) addendum which is in the attachments. MLS#3473692. NC Homes For Sale LLC. Stafford - Priced to sell. Will not be disappointed, MLS#3482743. VentureREI LLC. Conveniently located off of 485 and the property is less than 15 minutes to uptown Charlotte. MLS#3482979. Coldwell Banker Residential Brokerage. Close to Sunset Hills Public Golf Course and convenient to I-77, shopping, dining, and more. MLS#3482976. Metrolina Estates Realty LLC. Minutes away from Tega Cay, Lake Wylie, shopping and entertainment. MLS#3481016. Coldwell Banker Residential Brokerage. This is a Short Sale, and all offers have to be accepted by the bank. MLS#3479042. The Minard Group LLC. 3-2 single family ranch, some TLC needed featuring significant acreage. easy access to interstate. MLS#3476072. Owners.com. Additionally the home has an ample size playroom /den and large laundry room located upstairs. MLS#3476907. Dickens Mitchener & Associates Inc.
Brownes Ferry - House is Being sold "As Is" MLS#3474399. Keller Williams Ballantyne Area. Good investment for the buyer who wants to add some upgrades and make it their own. Sold as-is. MLS#3431612. RE/MAX Metrolina. Faires Farm - Also offers opportunity for investors to seize significant rental income. dont miss out bid today. MLS#3473579. Owners.com.